It is with deep sadness, that the Embassy of the Republic of South Africa hereby informs that Honorable Mrs Nomzamo Winifred (Winnie) Madikizela-Mandela, Member of Parliament (MP), passed away on Monday, April 2nd, 2018 in Johannesburg, South Africa. 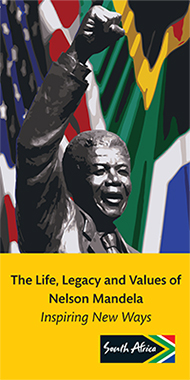 A book of condolences will be opened at the Embassy, located at 3051 Massachusetts Avenue, NW, from Wednesday 04 April to Friday 13 April 2018 from 10:00 am to 16:00 pm, and Saturday, 07 April from 10:00 am-14:00 pm for all those wishing to convey their respects to the memory of the late Mrs Madikizela-Mandela. It was truly a honor to host Mrs. Madikizela Mandela – (Mother Winnie Mandela) in Dimona, Israel with the African Hebrew Israelites of Jerusalem community. To be in her presence you felt the strength and integrity of a strong women. All I could think about was the book she wrote. Part of My Soul Went with Him – A mandatory reading for the sisterhood. When Mother Winnie Mandela saw one of the children in Dimona, Israel she picked up the child as though it was hers and they both saw each other smiling faces together. The young lady is a women now with her own children and to look back on the member. We I ask did she need help packing her bags her response was my bags been packed all my life. I smile. MAY HER SOUL REST IN PEACE IN WITH OUR GREAT ANCESTORS/WARRIORS. Winnie Mandela Activists, Social Worker, Mother of the Republic of South Africa. You were a rear gem and an amazing woman. You will never be forgotten. Thanks for all you did in the struggle to end Apartheid in the Republic of South Africa . Winnie you left an indelible mark on this world that could never be erased. 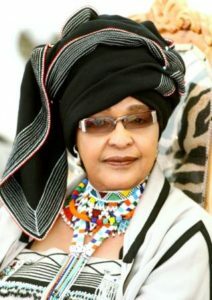 Rest In Peace. .
Winnie Mandela Activists, Social Worker, Mother of the Republic of South Africa. You were a rare gem and an amazing woman. In most of the cases times are hard to be understandable, as we will let the mother of our nation to her last home. She will indeed requiem before her internment with whole peace. She did her role which in turn become our freedom of which we turn it into something untidy. She played her part to end up seeing, what was her burden all along, by the time of bureaucracy which brings them in exile, just in order to come and see the beautiful country which we find ourselves in it. We have lost her not what she did. Let us have a chance to congregate because living is only conformity and progression. we have learned a lot from you MAMA, THANK YOU… We thank God for bringing you to serve us with massive servitude. We do thank you to do your work with solemn joy. “MAY HER SOUL REST IN PEACE, MAMA !!! Rest In Peace Warrior Queen Winnie Mandela! Ase! The most powerful woman, freedom fighter, mother of the nation, peace maker, “Mmemuhaga”, social worker by profession has passed on. Some of us like myself I was born a year before freedom come into existence in RSA (1994). Thank you very much for your involvement, strength, braveness and dedication in the struggle to end Apartheid in our country. May her soul rest in perfect peace. Muya wavho u edele nga mulalo. Lala ngoxolo mama of the Republic of South Africa. Aluta continua!!! The flower of our nation has died. The light that has shone our horizon has been blown out. Mama, Msuthu, Your star will guide us. One of the most powerful women has fallen, a mother of the nation. Whenever I hear name my mind think of her presence. one thing about her, you will always feel her presence,she had a gentle soul. Her speech said a lot,whenever talking she will be smelling and softy talking. Mama brought peace and unity in the ANC. Not any there but to other political parties. YOU DESERVE THIS SENT OFF. TO THE FAMILY CONTINUE CELEBRATING THIS ICON. MAY YOUR SOUL REST IN POWER AND PEACE. THANK YOU FOR YOUR STRUGGLE, DEDICATION AND LIBERATION. WE WILL ALWAYS REMEMBER YOU.VHA TSHIMBILE ZWAVHUDI MISHIMO YAVHO RO I VHONA. HAMBA KAHLE MAMA. Mother of the nation,the most beautiful women,our rock,the freedom fighter,powerful,I can go over and over again when describing you because your everything.O Mosadi gare ga basadi. I hope we will not fail you in our struggle to create a peaceful and prosperous world in which there is recognition and respect for the dignity and humanity of all. The world has lost a giant of activism and humanism, a woman of great courage, love, compassion, an uncompromising sense of justice, integrity and strength: Winnie Nomzamo Madikizela-Mandela. My life was greatly impacted by Part of My Soul Went With Him in the mid-eighties, which makes me one of many women, whom Winnie inspired and enlightened far beyond the borders of South Africa. My heart goes out to the Madikizela and Mandela families, especially Zenani and Zindzi, and to the South African people. I want to especially appreciate Zenani for her very powerful and courageous speech during the funeral ceremony. Winnie definitely has multiplied, will always be one of my heroines and inspire my own activism. Rest in Power, Winnie Nomzamo. Amandla Awethu!